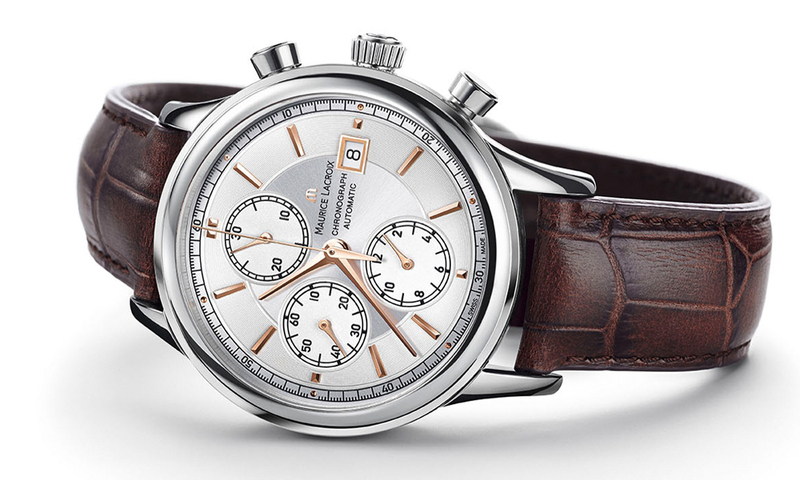 The Les Classiques Chronograph for Men, will be launched by Swiss watch manufacturer Maurice Lacroix, it has been announced. 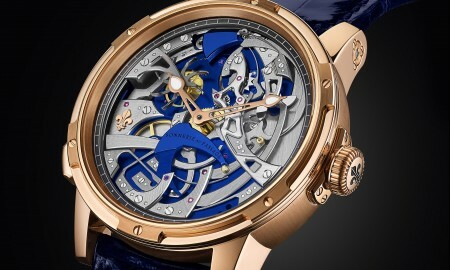 The 41 mm watch will be presented in a stainless steel case, of which will house an automatic ML112 movement that beats at a frequency of 28,800 vibrations per hour (4 Hz) with 25 jewels. 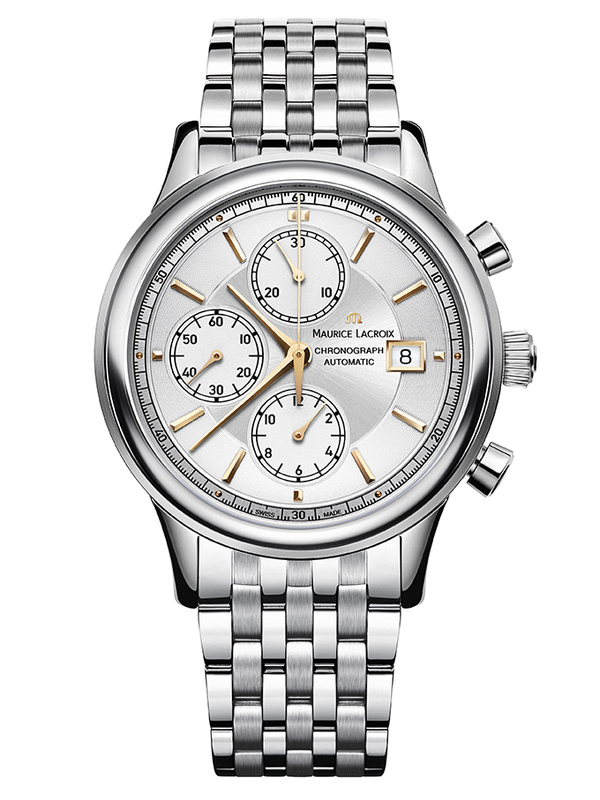 This mechanism will drive the watches functions that include hours and minutes indicated by central hands, small seconds at 9 o’clock, chronograph seconds indicated by central hand, 30-minute chronograph counter at 12 o’clock, 12-hour chronograph counter at 6 o’clock, and a date indicator in an aperture at 6 o’clock. 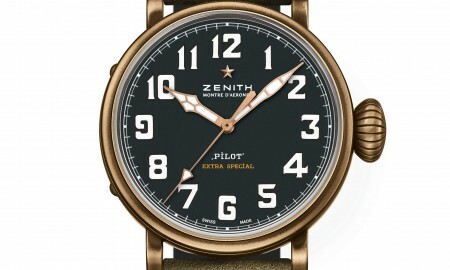 It will be available with a selection of dials that include silver or black gold with a sun-brushed center, snailed hours and a sun-brushed minutery dial. The silver version will be depicted with black printings, whilst the black gold model will be presented with white printings. 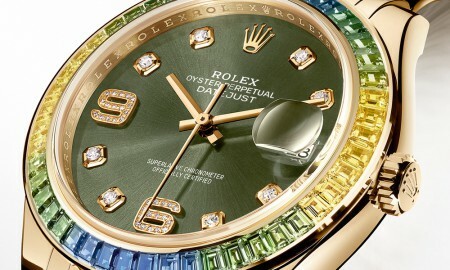 The timepiece features a domed sapphire crystal glass display with anti-reflective coating on the inside, of which is complemented by diamond-cut hands with 4N gold plating. Furthermore, each piece is supplied on a brown or black genuine calfskin strap or metal bracelet with stainless steel folding clasp. 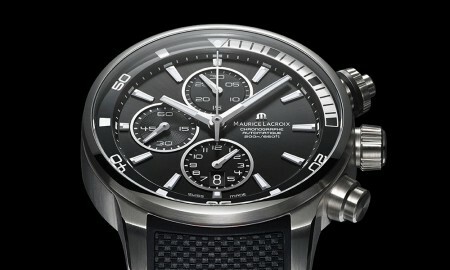 The Les Classiques Chronograph from Maurice Lacroix will boast a minimum power reserve of approximately 46 hours and is water resistant up to a pressure of 3 bar (30 meters or 100 feet).